Q&A: What Tools Do Embedded Case Managers Use to Manage Their Care Plans? 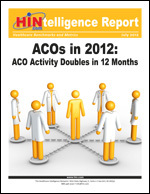 Free Download: Accountable Care Organizations in 2012. "The overall goal of population health management is to reduce the demand for healthcare by improving the health status of the workforce." Watch the webinar today or order a training DVD or CD-ROM.